Over on the wonderful world of Facebook, a fan named Nigel posted some photos from when he met Paul and Linda in 1978 outside Abbey Road studios. I asked if I could share the photos with all of you, and he said "sure!" He also included some information about the photos. His photos and stories also come with a search for his old Beatles pen pal from Germany who was with him on this trip to London. I met Suzanne Wilms because she wrote her name and address on the Apple Saville Road door asking for penfriends. She was 15 and I was 17 - i wrote down the name and address and we corresponded (she lived in Dusseldorf West Germany) and we eventually me about 2 months later in London. 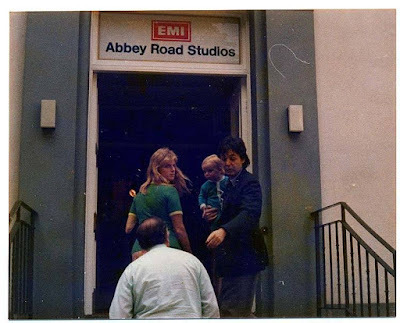 We visited Abbey Road and as luck would have it Paul was recording, in those days he would often invite fans to his house for a "cup of tea" (his London residence is only 5 mins walk from Abbey Road). Random great times - not seen Suzanne for nearly 40 years! Nigel would love to get in contact with Suzanne Wilms again. 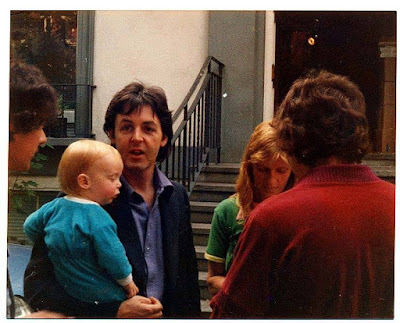 He knows that she took many photos on the two days that they met Paul in 1978 that he would love to see. He also would like to reconnect with his old pal. So if you know Suzanne Wilms from Germany who is a Beatles fan in her 50's, please let me know so I can pass along the information. I know it is a long shot, but crazier things have happened thanks to this blog! 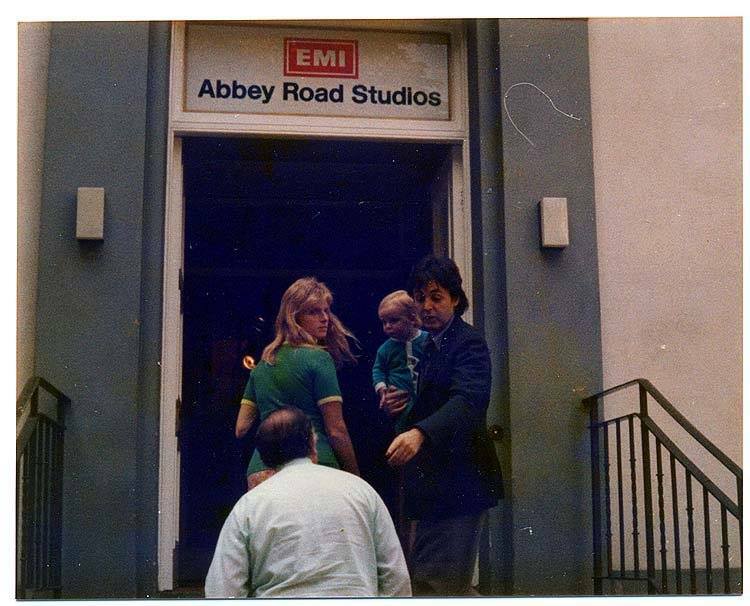 I think he was saying that Paul wasn't popular in the same way he was in the Beatles where 100's of fans would stand outside the studio and he would have to rush inside. There were only 6 fans there because the interest in waiting for Paul had faded and so Paul was able to talk with the fans. In 1978 London, the Punk movement was still in full swing and they tended to disrigard the older generation's music, so that is why the Beatles' popularity dipped a bit at the time. The Christmas/New Year period 1977/78 saw Mull Of Kintyre become the then biggest selling UK single EVER with sales of over 2 million. That's a strange definition of popularity dipping!